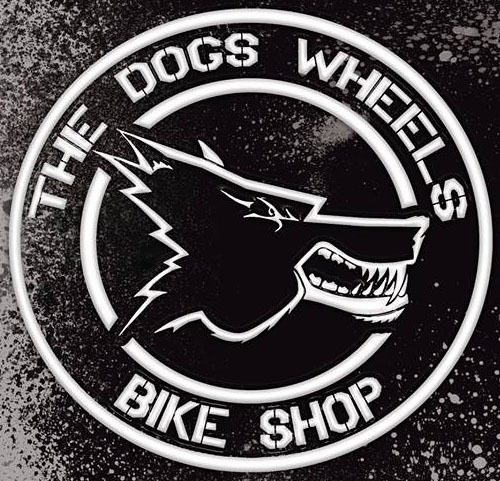 The Dogs wheels bicycle Shop stock a large range of bicycle bearings in our bicycle shop in Plymouth. We keep Enduro ABEC 3 bicycle bearings for Wheel hubs, bottom brackets, and Enduro ABEC 3 MAX or Full complement bicycle bearings for bike suspension Pivots. We also stock Kinetic Bicycle Headset Bearings in 1.5" and 1.1/8". Collect your bicycle bearings at The Dogs wheels Bicycle Shop in Plymouth Devon UK, we also ship our bicycle bearings in the UK and to the rest of the world. For further information of Bicycle Bearings see below: or click on our website. Unlike others, Enduro bearings are not just ‘off the shelf’ Industrial bearings. They are tailored specifically for the demands of cycling. Every aspect of an Enduro bearing is considered and spec’d to provide superior performance and value for each application. From the material of the races and the ball bearings, the types of seal and even the grease. Each of these has a profound effect of the performance and longevity of a bearing. What is the meaning of grade? Bearing balls are manufactured to a specific grade, which defines its geometric tolerances. Grades range from 2000 to 3, where the smaller the number the higher the precision. A grade 20 ball for instance is 20/1,000,000" out of round. Enduro use Grade 10 for ABEC 3, Grade 5 for ABEC 5, and Grade 3 at Zero and XD-15 levels. At Enduro they utilize several types of grease depending on the projected application of the bearing. They also fill both sides of the bearing for maximum lubrication, unlike industrial bearings which are only single filled. SRS Seals: Two NBR 70 rubber seals with an axial face seal, this seal has a large contact surface area, while running very smoothly and freely. They are easily removable with a snap ring which hold them in place, making them easy to service. VV Seals: Two NBR 70 rubber seals with non-contact seal, which rides in a matching groove machined into the bearing for no drag or friction. Enduro’s application chart will help you select the appropriate bearing for your needs to ensure maximum performance and longevity. Bearing Installation and Removal: Bearings should never be installed by pressing on the inner race. Always press on the outer race with a pilot bushing or similar tool, which will only make contact with the metal side of the outer race. A bearing press or similar should be used to exert the force needed to press the bearing into the housing. Care needs to be taken that the bearing is started straight and not at an angle to the housing. Bearing sizes are easily identifiable by the numbers on the seals. Some popular sizes include 6001, 6002, 6803, 6901, 6902. If the bearing seal has become damaged or the sizing is no longer visible, you can identify you bearing with 3 simple measurements. Inner Diameter x Outer Diameter x Depth.